The Netherlands welcomes American entrepreneurs. Self-employed USA citizens can apply for a Dutch residence permit to live and work in the Netherlands. There is no maximum age and you can also sponsor your spouse and minor children for residence. All kinds of business opportunities are available under the treaty. It's also possible to open a branch of an existing USA company or buy a share of an existing Dutch business. The first DAFT residence permit is issued for a period of two years. The minimum required business investment is 4,500 euros. This amount must be maintained throughout the entire period. There is no requirement to learn the Dutch language with a DAFT permit, although the language test (inburgering) is needed to apply for permanent residence or citizenship after five years. Our DAFT clients include American IT and computer software specialists, management consultants, telecom professionals, website developers, tax accountants, translators, writers, music and video production companies, audio recording and mastering studios, horse trainers, graphic designers, importers/exporters and many more. Most Americans applying for residence permits under DAFT have little or no experience establishing a business in the Netherlands. Expatlaw specializes in DAFT applications for American citizens. We provide custom business advice for the entrepreneur regarding local conditions here. 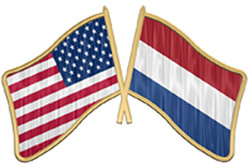 For more information regarding the Dutch American Friendship Treaty and how we can help you start your business in the Netherlands, call us at +31 (0)20 262 2509 or use the contact form for a quick reply.